Access expert firearm training and resources with a ProShots membership in Winston-Salem. Whether you would like to try a new firearm at a high-quality shooting range or need to complete basic gun certifications, you’ll find the options you need with us at ProShots. We’re located conveniently next to US 52, just ten minutes north of downtown Winston-Salem, North Carolina, and you will be glad you came in to explore our facility. Training and Events – We offer a wide variety of group and one-on-one training options, including handgun, rifle, and shotgun courses. You’ll also find us equipped to offer medical and emergency planning training. Law Enforcement & Security – We offer specialized options ranging from H.R. 218 Retired LE CCHP to specialized one-on-one firearms training for LE and security, and we also host after-hours security/LE qualifications training. Hunting/Sport Shooting – We can accommodate your needs as your peers rather than salesmen because we are knowledgeable professionals in the hunting and sport shooting arena. It is our collective wealth of experience that has given us a word-of-mouth reputation of being the go-to shop. At ProShots, we are always doing something new and love having an excuse to provide custom courses. 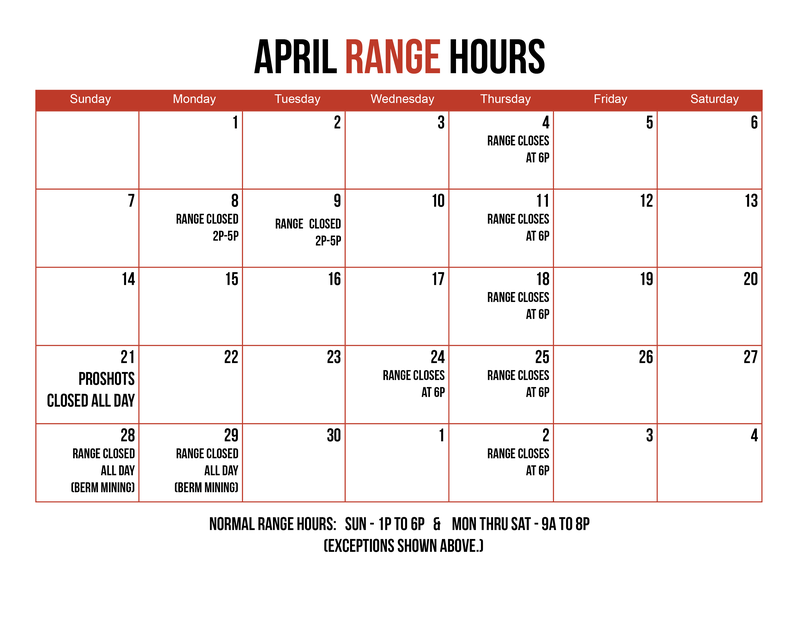 Just stop by or contact us today to learn more about our course offerings, our shooting range, and our retail store in Winston-Salem. We look forward to seeing you soon! Many gun repairs and general servicing requirements are easily diagnosed and priced over the counter by our gunsmiths in Winston-Salem. You folks have shot a ton this year...literally! Probably more like 2 tons. And we have to get that lead removed. Firearm Classes are a Fun Change of Pace!